A perfect novel for Agatha Christie fans. In December 1893, Sherlock Holmes-adoring Londoners eagerly opened their Strand magazines-- anticipating the detective's next adventure-- only to find the unthinkable: his creator, Arthur Conan Doyle, had killed their hero off. London spiraled into mourning -- crowds sported black armbands in grief -- and railed against Conan Doyle as his assassin. Chesterton's talent as a mystery writer is displayed in this collection of detective stories, The Man Who Knew Too Much. In each story, the star detective, Horne Fisher, deals with another strange mystery: the vanishing of a priceless coin, the framing of an Irish "prince" freedom fighter, an eccentric rich man dies during an obsessive fishing trip, another vanishing during an ice skate, a statue crushing his own uncle, and a few more. Exclusive audio collection. Eleven Max Carrados stories - narrated by national treasure Stephen Fry. Max Carrados featured in a series of mystery stories that first appeared in 1914. Carrados featured alongside Sherlock Holmes in The Strand magazine, in which they both had top billing. The character often boasted how being blind meant his other senses were heightened. Decades before Ironside or Longstreet, the handicapped sleuths who enlivened my early TV viewing, there was Max Carrados, the blind connoisseur and crime-solver who gave Sherlock Holmes a run for his money starting in 1914. I had never heard of Ernest Bramah or of his most successful creation until I stumbled across this collection while searching for vintage mysteries. Tucked away in my wish list in anticipation of the next sale, last August it suddenly appeared as a Daily Deal. Admittedly, part of the interest was Stephen Fry. Long a fan of his work with Hugh Laurie (Fry & Laurie, Jeeves and Wooster) and his brilliant supporting roles in Rowan Atkinson’s Black Adder series, I wanted to hear what he could do behind a microphone. At first that presented a problem. I couldn’t help seeing Max Carrados as Stephen Fry. Or Lord Melchett. Or Jeeves. Or simply admiring the way Fry turned a phrase or served up a sentence—all the while losing the thread of the story. I got over it eventually. And when I did the fun really began. Here we have a superb reader presenting superb stories. This selection of eleven “tales” range from situations that look criminal (but aren’t) to situations that look innocuous (but aren’t). Like P. G. Wodehouse, whose own writing career was starting to gather steam as Max Carrados hit the pages of The Strand Magazine, Bramah likes his characters; he enjoys human nature and can sketch it for us true-to-life without ever getting nasty. There is always—with the exception of one scene of real mortal peril—a gentle humor in this collection that leavens all the crime and duplicity. Fry’s persona is the perfect vehicle for this sort of good-natured craftsmanship. I wonder what he could do with a Wodehouse novel. It’s an observation worthy of Lord Peter Wimsey. My hope is that the other Carrados yarns not included in this collection (according to Wikipedia there are still 16 out there) might find their way to a recording booth. Preferably one containing Stephen Fry. Carrados’ blindness plays an interesting part in these tales. 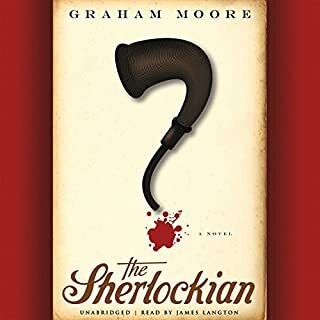 While we stand in open-mouthed admiration of Holmes’ deductions from a bit of mud on a boot or the wear on the back of a watch case, Bramah achieves the same sort of wonder on a smaller (yet somehow larger) scale with Carrados’ feats of navigation about strange rooms or ability to perceive cardinal clues through his other, heightened senses. Like the Baker Street sagas, these stories happen in a world of men who are gentlemen, women who are ladies and crime that, even when serious, never diverges into the lurid; in short, all the reasons why I prefer my criminal fiction to be of a more reverend vintage. In the shadow of Arthur Conan Doyle, Ernest Bramah created a sleuth more likeable than Holmes with an entirely new way to display a Holmes-like knack for uncanny deductions. And that was a very difficult thing to do properly, too. Good det.short stories but must suspend disbelief. I found I experienced an expanded imagination during those days I listened to the stories. Each chapter is a complete adventure in itself and it's fairly easy to listen to one episode during one sitting. I have read a different set of Max Carrados tales. 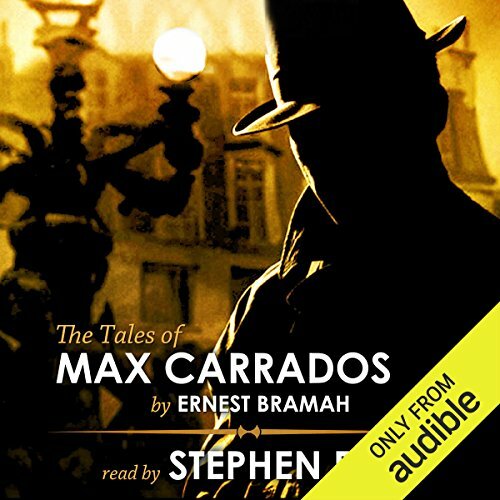 So when I saw this audio book of Max Carrados tales narrated by Stephen Fry how in the world could I resist. Bravo to Mr. Fry. Another well done acting job, by voice only. The man is a national treasure both in the UK and in the U.S. too. A collection of tales about a brilliant blind man, who cleverly uses his other senses to outwit criminals and solve crimes. Fun reading! For those who hate f-bombs and sordid scenes, this one is recommended. Excellent mystery and adventure program. As always, Stephen Frey just adds icing on the cake. Stephen Fry adds to the Holmes-like hero and conundrums a stageful of character voices. Stephen Fry narrates the stories wonderfully. And they are a lovely representation of this type of British story. It's nice to get a break from the modern stuff now and then. One of my favorite narrators is ideal voice(s) match for this series. I enjoyed the author's style quite a bit. Always excellent with Stephen Fry! Wondefully presented! Stephen Fry doesn't do anything by halves! 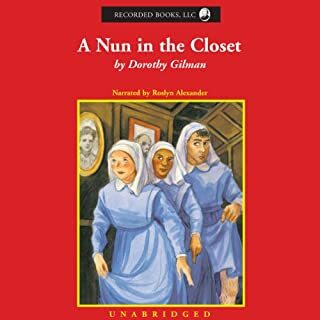 Always start by looking for books narrated by him! Yes, I found the storys very interesting to listen to. How hints as you go along pull the whole investigations together at the end. Stephen Fry gives all the characters individual voices and gets your imagination working so that you can really imagine what there like. Yes bits made me chuckle, I liked that Max does his investigations not for money or work, just purely to entertain himself. 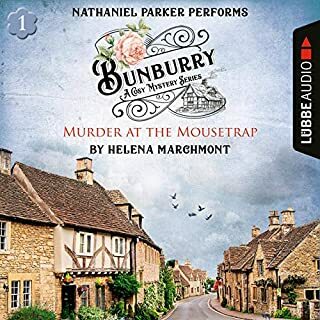 If you liked Sherlock Holmes i think this is definitely worth a listen. Enjoyed this, with Stephen Fry's narration it was a great. Logical solutions to various puzzles sit around the period of WW1. Nice comfortable listening. These are really good stories whose slightly archaic but cerebral language is a perfect match for the voice of Stephen Fry. This collection of tales takes Carrados from the beginning of the 20th century through to after WWI. They are excellent mysteries although the earlier stories are more whodunit and the later ones how did he solve that? Well read by Stephen Fry who shows that they were almost designed to listened to than read... as you might expect from a blind detective. 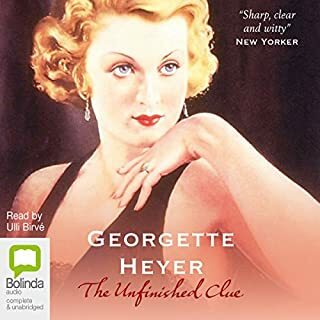 I received a couple of these stories as a gift from audible - and I just loved them - and went on to buy complete 'Tales of'. Yes they can be compared with Sherlock Holmes but I found them much simpler - indeed there were a few occasions where I had actually seen the conclusion (not that it really mattered). What I found odd was that I'd be absolutely enchanted by one story and then the next one was so boring I couldn't even listen until the end - then the next one would be quite superb again... I am a little tired of Stephen Fry as a national treasure and yet I have to say his reading of this is just spot on, it's marvellous. I see other Max Carrados stories are single story downloads, I might well download one and hope its one of the good ones! Great performance from Stephen Fry. 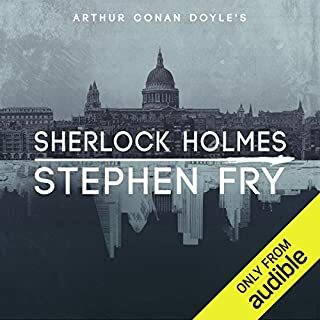 Steven Fry has shown himself to be a truly fine narrator. He has done an excellent job in bringing these stories to life with perfect, clear delivery combined with brilliant vocal characterisation. Strongly recommended. I enjoyed this book. The affable treasure that is Stephen Fry makes this book come alive. I was led into stories of antiquated wonder. I recommend it highly. Stephen Fry's performance is excellent. The stories are interesting but quite a few are not plausible given modern scientific knowledge. However it gives a very interesting insight into the beliefs and ideas of the time they were written. So definitely worth a listen regatdless. Max Carrados, Stephen Fry just brilliant. 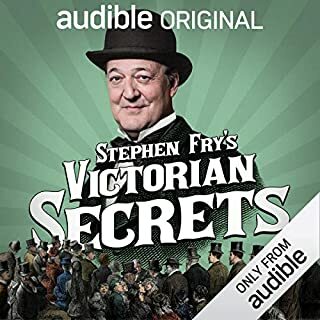 Love Stephen Fry as the narrator. Quite enjoyed the stories, but sometimes the endings were a bit abrupt. Unfortunately I made the mistake of listening to the profound and amazing Sherlock Holmes compilation before listening to Max. I do understand they are different but it’s just hard to beat the detective that changed everything. Stephen Fry definitely gives this book something special still, like he always does.